Sturdy steel or aluminum tool chests and storage boxes protect your tools and secure valuable materials. The RKI trademark bright diamond tread plate is your assurance of durable construction and dependable design, backed by Rawson-Koenig Manufacturing. 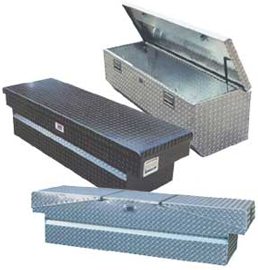 Rawson-Koenig heavy-duty aluminum storage tool boxes are designed and built to give years of dependable service. The Gull Wing Series* from UWS is a strong lower-profile cross box which mounts on the pickup bed. Each side of this box has a sturdy lockable stainless steel latch. Note the sliding tool tray, convenient side organizers and tool holders. The unique UWS twin foam Injected lids* give super-strength to a normally flexible lid. The solid UWS foamed lid* will help keep locks adjusted properly so as to provide dependable security for the box contents. This lower-profile style box allows for a more spacious view out of the rear window, thus providing the driver better rearward vision for safe maneuvering in traffic or checking the load. This new Gull Wing design has also virtually eliminated leaks commonly found in competitors Gull Wing Style boxes. 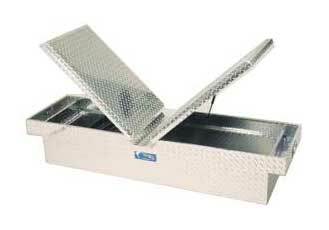 We a carry a full line fo steel and aluminum toolboxes for every need. 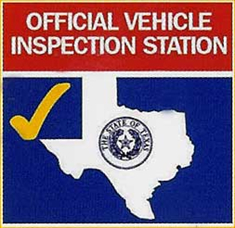 Since truck beds vary we recommend you stop by and visit with us to find the best box to fit your needs. In most cases, we can have the exact box you need the next day.